Kemet was undoubtedly the most successful society in the history of man. The people of Kemet had little conflict and maintained a peaceful and powerful empire for at least 3000 years. These are the Pharoahs of Ancient Kemet. Djoser (Zoser) Period (2630-2611 BCE) 3rd Dynasty – During his reign, he built the largest stone funeral complex in the world: the stepped pyramid at Saqqara. Khufu (Cheops) Period (2551-2528 BCE) 4th Dynasty- He ordered the construction of the Great Pyramid of Giza, which was his mausoleum. His son, Khafre, and his grandson, Menkaure, both of who were also Pharaohs in their own right , built other pyramids at Giza. 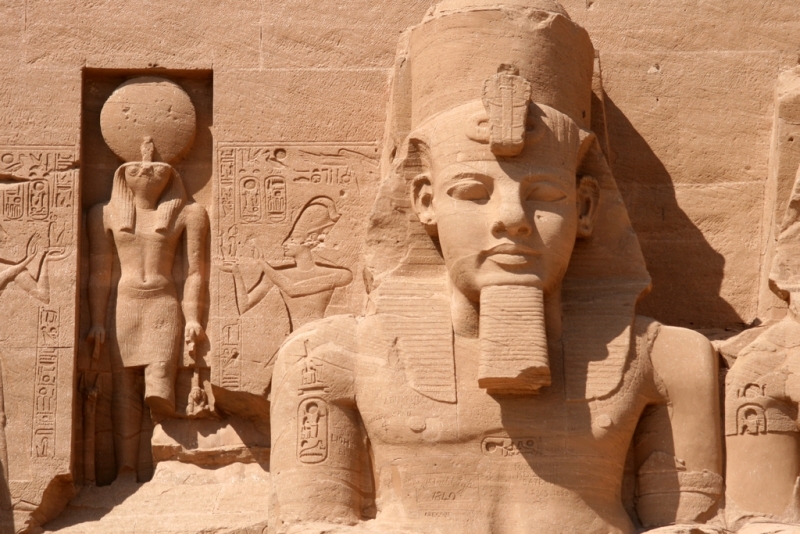 Ramesses II Period (1279-1213 BCE) 19th Dynasty – he multiplied the number of colossal statues, building the temples at Abu Simbel and the Ramesseum, in addition to founding the city of Pi-Ramesses, his capital. 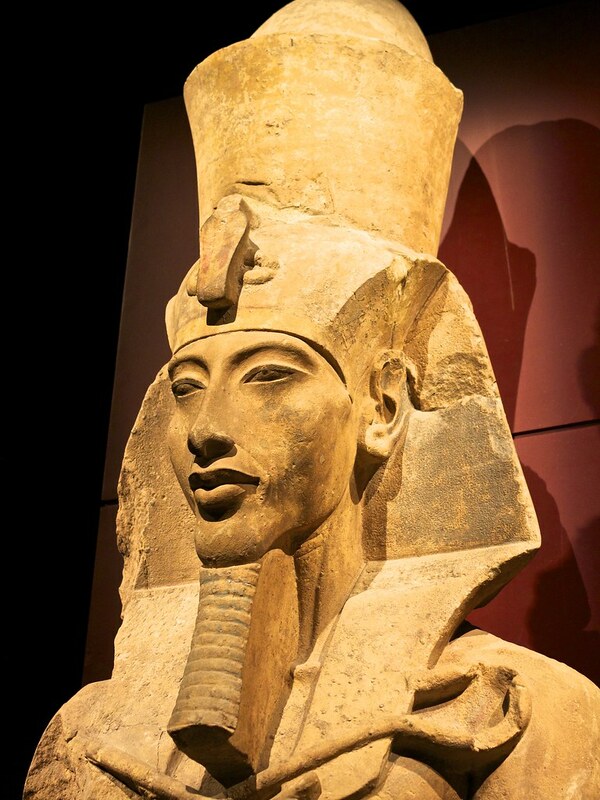 Akhenaten Period (1352-1336 BCE) 18th Dynasty – He promoted the monotheistic cult of Aten, installing his capital at Tell el-Amarna, a key site in the understanding of this period of history. Nefertiti Period (1338-1336 BCE) 18th Dynasty – The great wife of Akhenaten, whom he made corregent. 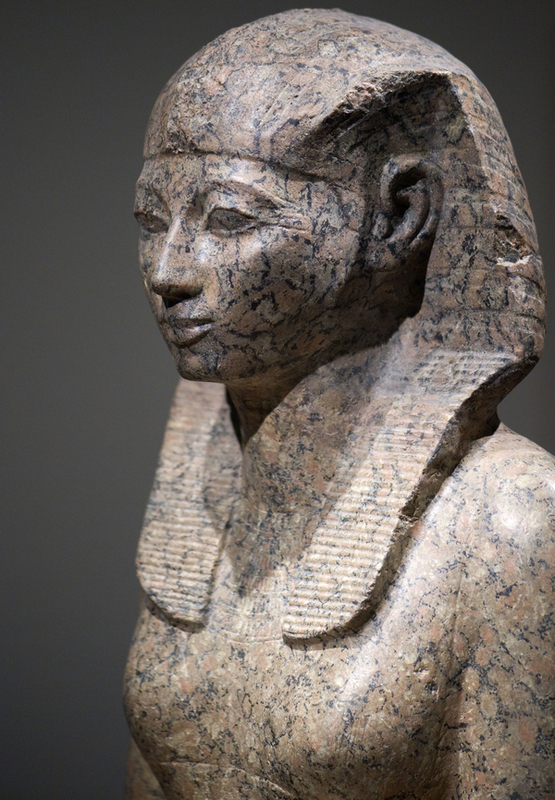 Her bust, found at the site of Amarna, is one of the most famous. 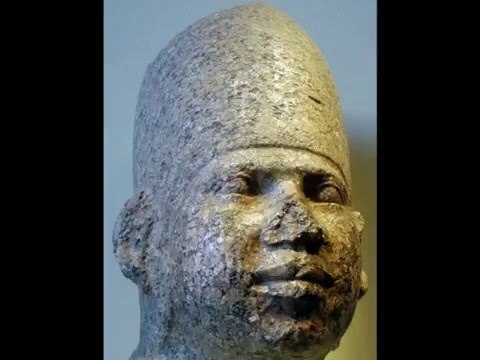 Thutmose I Period (1504-1492 BCE) He expanded the Kingdom from Upper Nubia and waged war on the banks of the Euphrates. Founder of the Royal Theban necropolis at the Valley of the Kings. Hatshepsut Period (1473-1458 BCE) 18th Dynasty – Was the heir to Thutmose I, the most powerful female Pharaoh in Kemet’s history. She ordered the construction of the Djeser-Djeser temple, one of the greatest architectural jewels of Ancient Egypt. 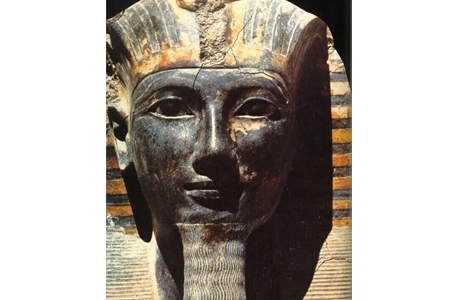 Thutmose III Period (1479-1425 BCE) 18th Dynasty – Known as “the Great,” he oversaw the kingdom as its greatest extinction. He reigned over kingdoms in the Middle East and Eastern Mediterranean. He built the temple of Amun-Re at Karnak. 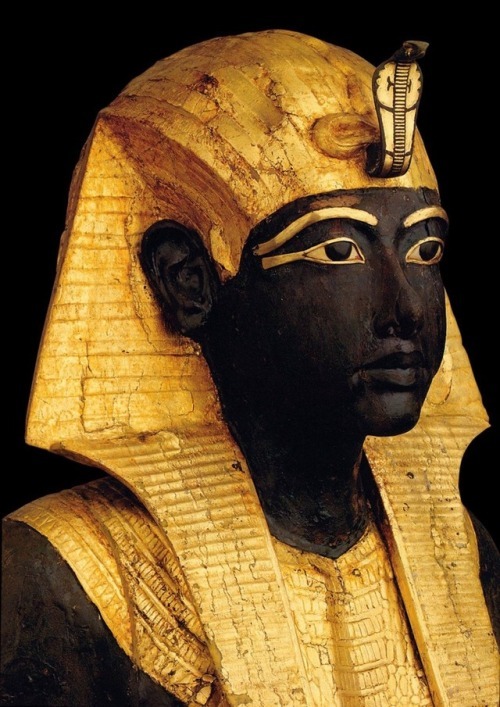 Tutankhamun Period (1336-1327 BCE) 18th Dynasty – Son of Akhenaten, he restored the Cult of Amun. The most famous Pharaoh as a result of the intact discovery of his hypogeum (underground vault) in 1922 in the Valley of the Kings. Amenhotep III Period (1390-1352 BCE) 18th Dynasty – His reign stands out as one of the most busiest construction periods in Ancient Egypt. The Colossi of Memnon are the remains of an amazing temple built next to the Nile.